Nanfeng County is located in the southeastern of Jiangxi Province, it’s a distinctive county because of the delicious orange, and it’s also a national key ecological function area. Nanfeng Orange has more than 1700 years’ history; there are more than 70 acres of planting area currently. Over the years, the tangerine not only the local characteristic agricultural product, but also become a tourism signs of Nanfeng County, it stimulates the development and upgrading of local industrial structure. As a pillar industry in Nanfeng County, Nanfeng Orange has become a business card in Nanfeng County. 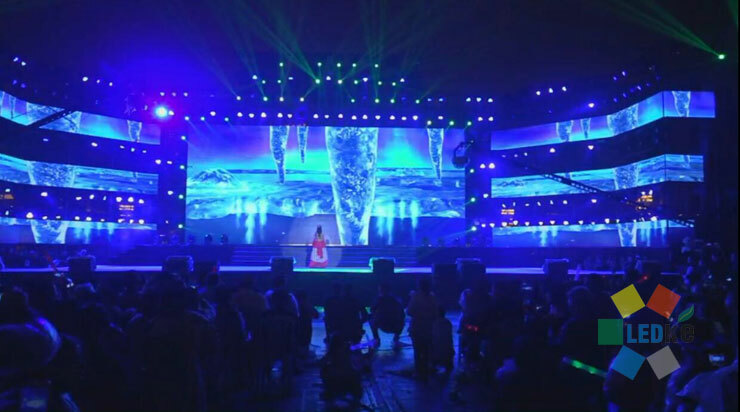 The biennial Nanfeng orange cultural tourism festival aims to expand the influence of Nanfeng tangerine, consolidate and enhance the brand of Nanfeng Orange. The orange is not only sold all over the country, but also exported to Southeast Asia, European and other countries and regions, it has become a well-known brand in citrus exports. 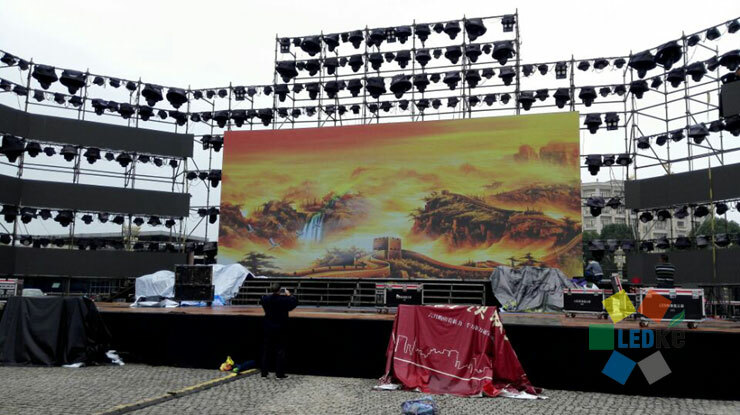 The thirteenth Nanfeng Orange Cultural Tourism Festival was officially opened on November 11, 2017 in Nanfeng County, Fuzhou City, Jiangxi Province. This year, Nanfeng Tangeria ushered in high-yield “big year”, tangerine harvest and Nanfeng tourism ushered in the climax at the same time. 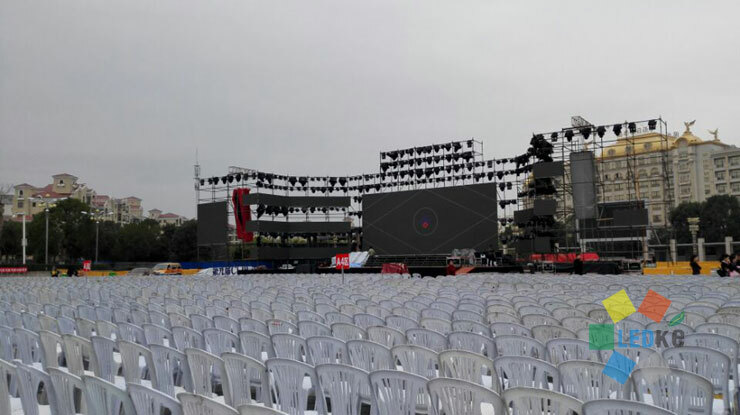 This festival used LEDKE 100 square meter outdoor P4.81mm LED display, in order to make sure this festival to be hold successfully, the stage, lighting and LED display was entered and built since November 1st, 2017. 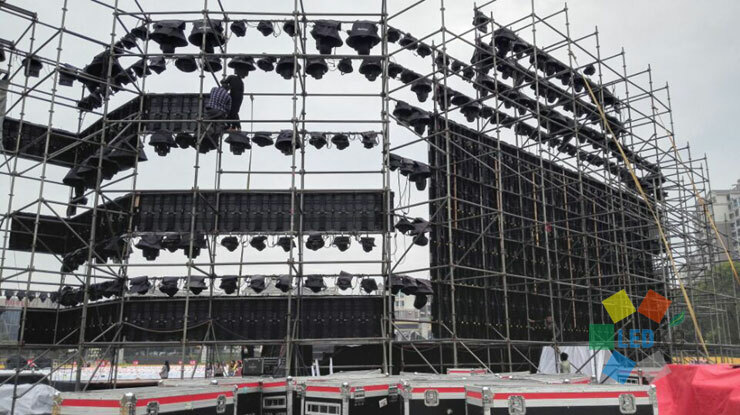 Because the fast lock and light weight design, the LED screen was finished installation within one day, and all the lighting and LED display were well tested before the show. This event hold 15 activities, in addition to Jiangxi quality fruit show, national agricultural products exhibition and Nanfeng orange challenge cup, also host China Citrus Annual Conference, and invited domestic and foreign experts to discuss the future development of the industry. 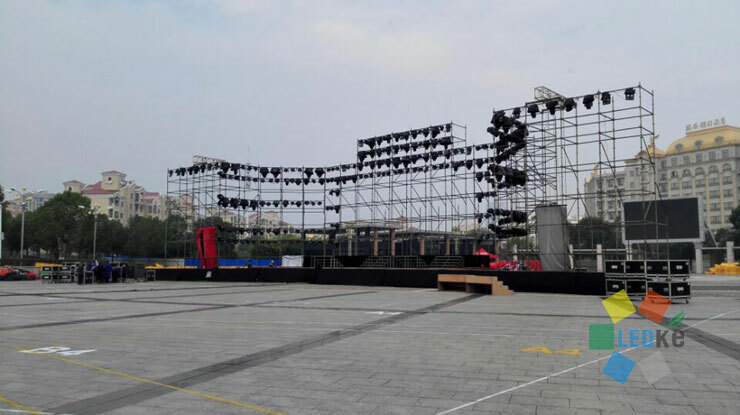 Furthermore, all kinds of tourists and orange farmers can participate in interactive entertainment activities that day. 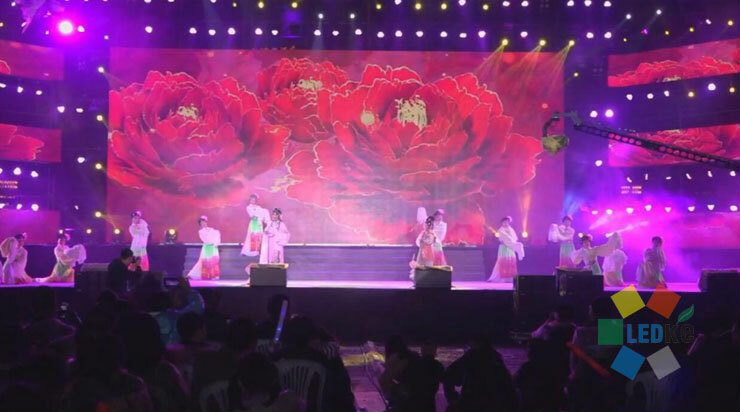 The successfully hold of this festival enhanced the brand of Nanfeng Tangerine, also expanded its influence and increased the confidence of farmers and sellers.